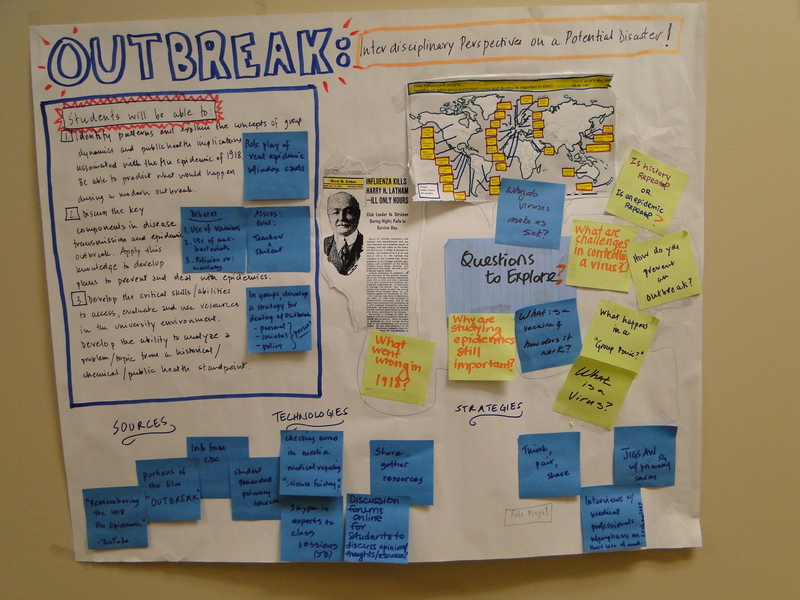 an “objective” and summative evaluation of knowledge gained during a course of study. In each case, these erstwhile final exams – measure of learning at the end of something – focus on an individual’s mastery of a particular, and particularly large yet specialized, body of knowledge. And in these exams, students receive a score, a grade, and/or a ranking among other, similarly situated students. Generally, they receive this information after a final grade is calculated, and – more important – generally, the students receive no feedback as part of this exam process. I do require students to complete a final course exam for the courses I teach – a team-based exam with real-time feedback while students are working on the exam, as they present their results, and in response to any questions they pose before leaving the final exam period. Since I teach mainly graduate students these days, I’ve adapted a practice I used with undergraduate teaching to the graduate students context. 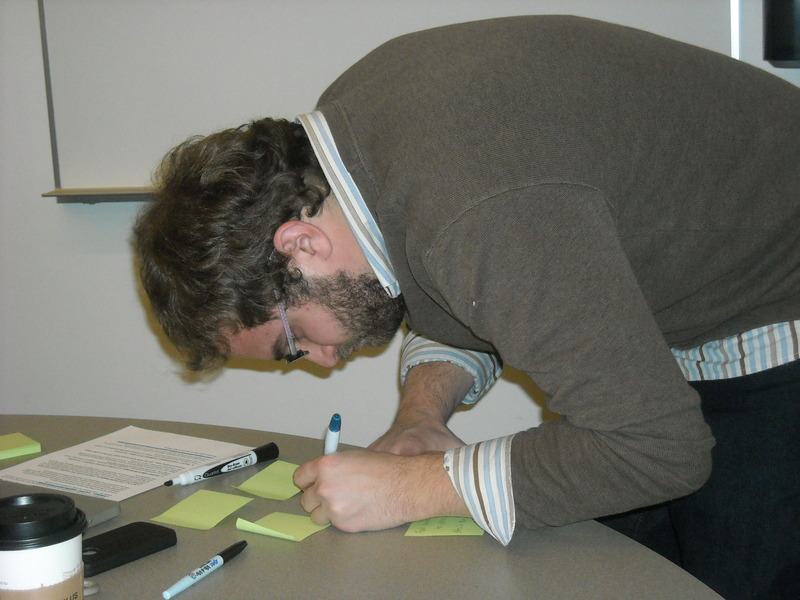 The exam – whether for graduate- or undergraduate-level teaching context – is an open resource, scenario-based simulation involving term-long teams in devising and presenting for whole-class review a plan to creatively address the generally controversial or complex problem they are likely to encounter professionally. to provide real-time feedback (as teams work on the scenario), immediate evaluation (as an outside visitor linked to the scenario joins teacher and peers), and future oriented discussion (as we apply the scenario to their own future professional contexts) so that a final exam becomes a learning experience that is done and dusted for all participants in one three hour time period who then leave the classroom with an embodied awareness of the high level learning that’s been taking shape all term. In the Teaching in Higher Education course I currently teach, the exam is completed by teams of 4-5 students (with interdisciplinary, mix-experience, intercultural membership) who have already worked together to research, plan, conduct, debrief, and evaluate two back-to-back 50-minute class sessions linked to specified learning-related topics and evidencing application of robust contemporary research-based pedagogies. 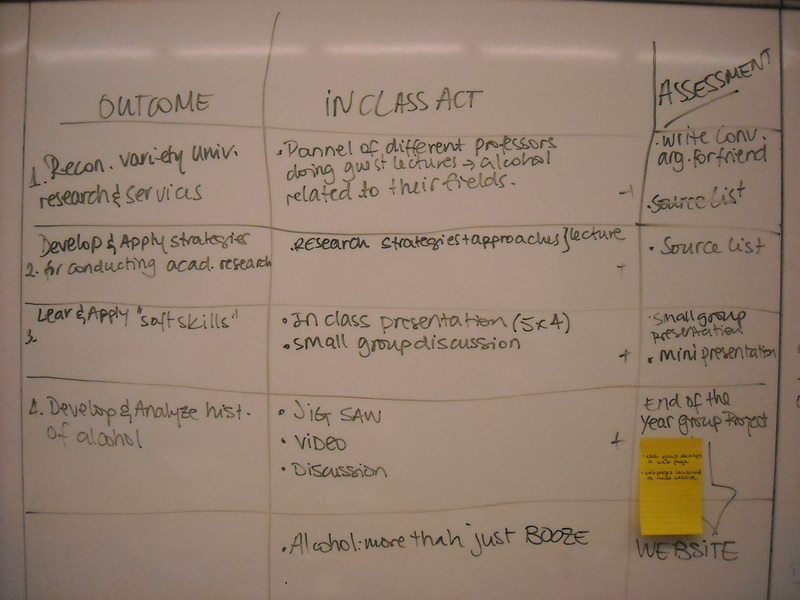 The exam task in Teaching in Higher Education is for each team to develop a one-page document with poster-sized Post-It flow chart, or five slide course proposal outlining a first year seminar that could be offered in affiliation with the University’s River Life Program that uses “social media, a digital atlas, and case studies to define the discussions and practices that will create inclusive, sustainable rivers” and supports instructors teaching related courses.” The course proposal will include a working title, a brief description for a student audience, at least three learning outcomes (one linked to affective learning or developmental learning outcomes), an assessment plan describing one major assignment and one regular low-stakes assessment practice for the course, and a description of a typical class session or pattern of class sessions. The students are well prepared for the exam; after all, each team will have completed the two hour segment of our course using learning theory underpinnings and active learning practices, and each individual student will have completed original course proposal that is document by a full syllabus and supplementary teaching/learning materials. The students come to the exam with the full range of skills required to meet the stated outcomes. The exam, feedback and evaluation processes (outlined in the document included below) are adaptations of David and Roger Johnson’s Creative Controversy chapter focused on cooperative learning as a foundation for faculty decision-making groups, and a model for “Designing a Learning Community in an Hour” developed by Jean MacGregor & Barbara Smith. The tasks are familiar, the ordering reflective of the overall course learning sequence, the timing fine-tuned originally in practice rounds, and the end products linked carefully to ordinary interpersonal professional components of higher education: cooperative decision-making processes, development of course descriptions, creation of presentation poster or slides, interactions during committee feedback, and conversation while debriefing of the exam in light of stated aims, as well as potential adaptations of the overall idea/process for undergraduate courses. The student response is amazing. During the session they fully make use of the human resources in the room – the instructor, teaching intern, and guest committee members, as well as members of their own team – and those linked to the other teams. They also nimbly take on questions from and formative feedback offered by those roving human resources. Students ask questions of one another during presentations, offer ideas for fine-tuning, and readily evaluate things that work and that need to work better. And, even better, those who are presenting address the feedback offered – even as the guests we invite fulfill our requests to ask pressing questions and offer the same level of feedback they’d offer to a fully-tenured faculty teaching team. Happily, students experience this as a cognitive and affective capstone for the course. Final Exam Handouts: Directions for preparatory hour of work (sometimes in class, sometimes via a virtual hangout), followed by sample course titles & descriptions from previous classes, and by the exam session handout. Final Course Exam GRAD8101. 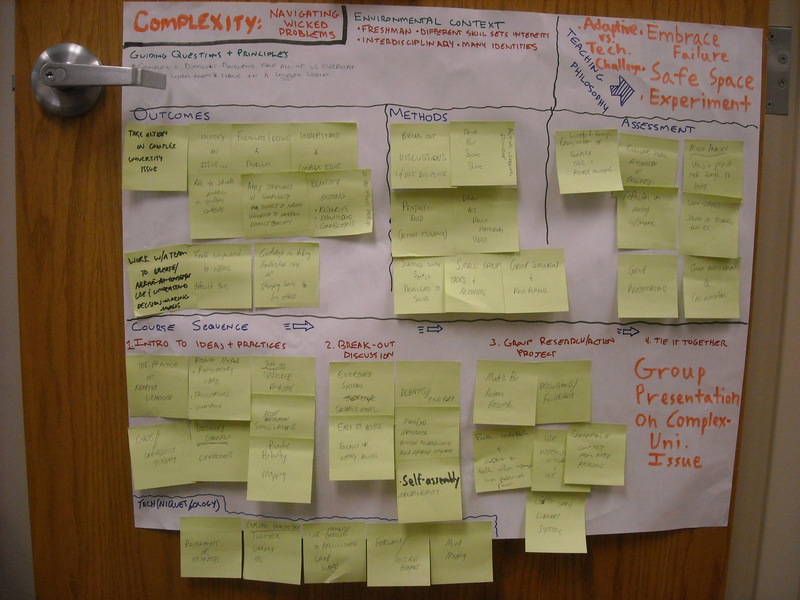 Setting Up Team-Based Learning, a Collaborative Model: “Conform Conform Conform – Oh, wait, you said Form, Storm, Norm: Revisiting Team-Based Learning Frameworks” at http://wp.me/p1Mdiu-11C.